In the last two years or so I've lost nearly 50 pounds and lost approximately three to four clothing sizes. I've posted about my weight loss efforts here before, and for the most part it all boils down to eating more "real" food and less processed. It's brought me a long way, slowly, and I could not be more grateful to feel good. This was me at my heaviest, a few months after Greyson was born. I quickly bounced back to my pre-pregnancy weight, but I kept eating the same carefree way I did when I was carrying him, so my weight shot up. There was a lot of shame...mostly because I knew my weight was within my control, but I just didn't care at that time. Now, here I am at my current weight. I have made some serious strides. Which leads me to my current post. It's really not about weight loss but about some of my attitudes and habits while losing the weight. Recently I've started posting "Outfit of the Day" (#ootd) posts on Instagram. Fashion is something I've loved since childhood. I used to sit around and "design clothes" in a notebook all day long when I was five or six years old. I loved dressing my Barbie dolls, and I even had one of those little machines with interchangeable plates so I could dream up different outfits. I'm a pretty creative person. I work in a creative industry. I write. I used to paint and draw and even went to art school for a time. Fashion has always been just another creative outlet for me, but it's one I get excited about and then veer away from. Some of that has depended on my weight, while at other times it was just a lack of interest, but I can say that since I've reached my current weight milestone, my creative juices are seriously flowing in the fashion department. When I started posting my #ootd on Instagram, I was really afraid my book blogging friends might stage a mass exodus, but the comments have been extremely positive whenever I've expressed some concern about posting fashion-related items. The bottom line is: Y'ALL, THIS IS SO FUN. Now that everything in my closet fits (minus the stuff that's way too big), I've started restocking with staple pieces and fun pieces. I'm a member of GwynnieBee, so I have "rented" clothing flowing through the house at the rate of about eight items per month. It's great to be able to try new-to-me brands and styles (more dresses!) I've also made it my mission to "remix" my closet and not wear the same outfits week in and week out. While some people assume that a strong interest in fashion is self-indulgent and materialistic, I really love getting out of bed every day and being excited about how I'm going to present myself. It means my confidence is up and I'm invested in my own self worth and professionalism. I love this! It's been fun seeing your #ootd posts (you even inspired me to do a few of my own...), and I love the inspiration to try new colors and combos. I tend to wear all black and grey, and the same outfits day-in, day-out, so it's been a jolt that got me thinking about my own (overstuffed) closet and how to make the most of what's in there. PLEASE keep the fashion posts coming! Love clothes love planning my outfit even if I'm just running erransd&yes love compliments?I'm one of the book world people who love seeing your outfits &your big smile. 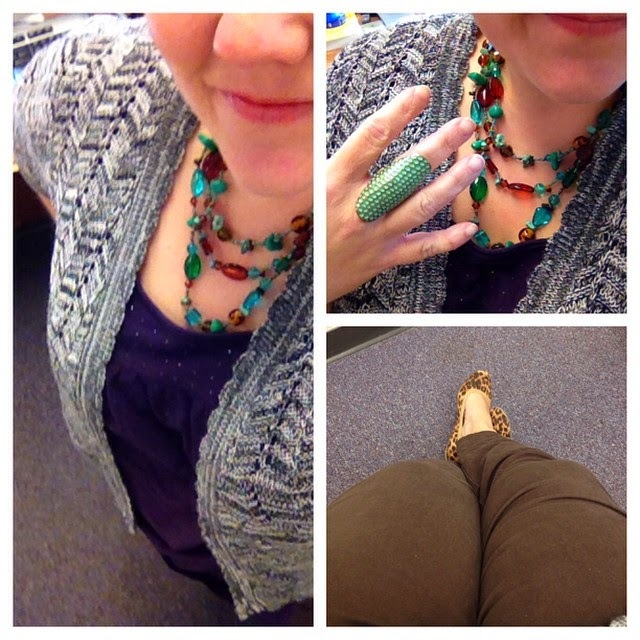 I love your #ootd posts, too! My last job forced me to frump-ify my clothing because of the setting and, as someone who always loved getting dressed in the morning, it was a huge mood-buster. Since I started this job, which gives me the freedom to have both casual and more dress-up days, I've had so much fun picking out clothes (and need to remember to Instagram more!). Are you kidding me?! If fashion is self-indulgent than I ma WAY over indulged! And you are not alone in the fashionista vibe- before I got into books I worked in fashion- for 10 years! And, like you, I used to design clothes when I was little. I wanted to dress Cher. Yup. I am right by your side on the book-loving fashion runway (and kudos on the weight loss- that's determination!). I would love to get more into exploring fashion, but I always feel so self-conscious wearing anything more than a simple top and pants. Like I'm trying too hard or something. I agree, though, it's definitely easier when you already feel good about yourself. A few years ago I lost over 50 lbs myself, and I started experimenting more with makeup, hair, accessories, and it felt great... but then I got lazy about exercising and went back to making bad food choices, and I slowly put all the weight back on... and my enthusiasm about my appearance just tanked. But seeing your fun outfits really makes me want to start trying again to find my own style, whatever that may be. I love seeing your outfits. I think I need a little inspiration in that area! 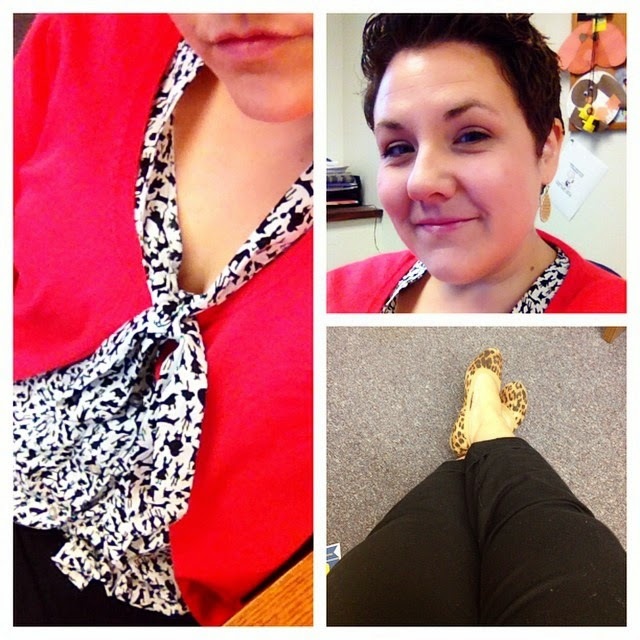 I love seeing your #ootd posts! I am *not* a very creative dresser (the boyfriend makes fun of me because most of my clothes are grey and black) so it's fun to see you play with lots of colors and patterns! Love this post and love your OOTD photos! You are the cutest and so stylish! You're "fetch"! 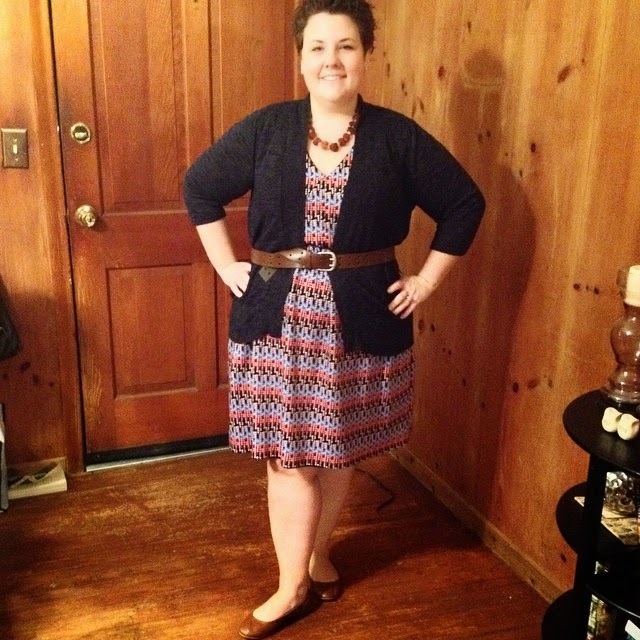 Congrats on your weight loss, Andi, and I am just loving your fashion photos on instagram! You look great - every. single. day. Damn, girl, way to go! And I am jealous -- I have the least fashiony brain in the world. I've figured out basically what my style is and stuck to it slavishly, and I never wear jewelry because I am lazy and accessories tire me out. But I'm always so impressed with people who can be more creative in their clothing! Congratulations on the weight loss! You look terrific! I do appreciate how difficult it is to do that (now toss the too-big stuff so you can fill your closet with more of the cute things you've shown here). Brava. I love your #ootd posts! As another plus-sized woman on a weight loss journey, it's inspirational to me to see someone who is not "stick-figure" thin, but looks still looks great. Keep them coming! Congrats on the weight loss and keeping it off. Your shorter hair is so cute and youthful. I love your outfit in that photo, by the way. Enjoy exploring your fashionista side! Congrats on your weight loss journey! I agree that it's all about eating well, not starving yourself. I have recently started not caring much about what I eat and I have been trying to bounce out of it. It's so hard! Good for you, Andi! There's nothing wrong with having an interest in fashion. Wearing clothes you love, makes you feel as good as you look. You feel differently when you wear your favorite outfit versus something you just through on as you go do errands. As long as you're happy, that's all that matters. Very cool Andi! So happy for you. I'm not a huge fashion person, mainly cause I'm not very creative I think. But I do like looking good, so I do try to copy what I see and like on others, so I'll be looking for your awesome pics! Lol! If you've got it, flaunt it, girl! And you definitely got it!!! I love seeing your enthusiasm and confidence in your outfits of the day. They make me want to add that pop of color or fun accessory and definitely make me think twice about my outfit each morning! Since I no longer work outside the home, I've become a slacker at fixing myself up. I worked in retail fashion for many years, and loved it. I think I might give Gwinnie Bee a whirl and when I visit you in Dec we need to plan some shopping time, and tips!! Your #ootd is the best!! Self indulgent? No ma'am. If I feel good about myself, I feel good about my job, my life, everything. I love dressing well. I've gained weight, so I have a different problem than you, but I also have had a $$ problem. I've been on a very strict budget, working toward paying off my car and student loans and finally did this summer! I was operating on a VERY small budget, so this first paycheck without those payments, I purposefully set aside some money just to replenish my wardrobe. I quickly realized my closet needs a further injection of life, but I'm still so pumped! Loving seeing your #ootd posts. 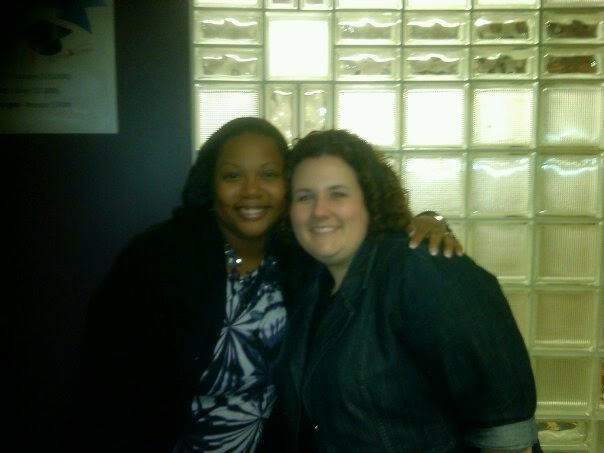 Congrats on meeting your goals and feeling great! I've loved seeing your instagram photos with your outfits. You pick the best color pops and jewelry pieces! I'm not a fashion person, but in the last year I started a new job that has made me up my wardrobe game. I've incorporated belts and pencil skirts and other things I never would have worn before. It's been so much fun! You look fab, and I love your outfit posts! I was definitely inspired to up my ante with clothing after losing weight -- I felt confident for the first time in my adult life, and it's been fun rebuilding my closet. Of course, all I need is tons of cash . . . haha. But I'll get there -- slowly! I love seeing your fashion posts! They make me so happy and definitely give me some inspiration! Thanks for sharing your story... I'm just so happy to hear that you're loving rediscovering a passion!! I'm hoping to lose some more weight and then I'm going to be really excited to do a wardrobe overhaul. For now, though, I buy one or two new pieces a season when something wears out. You go girl! You look fantastic! And it's all about feeling good about yourself .... so do what you love! I LOVE all your fashion posts. You inspire me to try to accessorize more and feel fabulous in my own skin. Bring on the fashionista, Andi, I cannot get enough! I love fashion, which is why I love your posts about fashion, nail polish, etc. By the by, congrats on the weight loss - that is an amazing achievement! I'm currently working on my own weight loss goals, so I know its hard. I just love reading how confident you feel and I think it really shows in your pics, posts, clothes, etc. You are an inspiration, Andi! Keep sharing! Congrats on looking and feeling so good! I've always been horrible at dressing myself, so I don't think it's indulgent at all but terribly important to feel good about how you look. I was addicted to the show What Not to Wear for the longest time. I think feeling good about yourself as a person also means caring about how you look. I love love love seeing all of your fashion posts on Instagram. I am NOT fashionably inclined and so it's fun to see how others put together outfits and inspire a tiny bit of fashion in myself. I don't think it's indulgent to feel good about yourself and the way that you look--it's amazing the difference in my outlook and attitude after I've just straightened my hair from it's fizzy state. :) A little makes all the difference! I love your fashion posts and tweets...please don't stop! I have to add too that I really adore your Instagram outfit posts! You've got such great coordination when it comes to colours and accessories! I LOVE your fashion pics on Instagram. I used to love fashion also until I got really fat. I am working on that now. I look forward to more fashion post from you! I love to see how creative you are with your clothes! I went to school for fashion merchandising and really loved fashion until I reached a certain point in my weight when I felt like it didn't matter. I know that I would never have to get back to where I was before to feel better about myself and want to dress great again. Just need to do it! I'm going to take inspiration from you and get on the ball so I can have this much fun!